Capturing moments through the lens of a camera has been a passion and a source of inspiration for Jasmin Flores, who followed that pursuit even in the line of duty. “I thought it'd be cool if I went into the Army,” Jasmin said. She chose going in as a photojournalist in part to secure money for grad school. Jasmin’s husband, Jimmy, with whom she has a 2-year-old son, was in the Army, so she decided to join him in 2014 after graduating from the University of Miami with a bachelor’s of science degree in communication. Jasmin, now 27, served for three years based in Germany, where she worked as a public affairs specialist. Although she had the opportunity to tell stories, she felt that there was so much more she could do through journalism. That is what drew her to pursue a master’s degree in new media photojournalism from George Washington University. 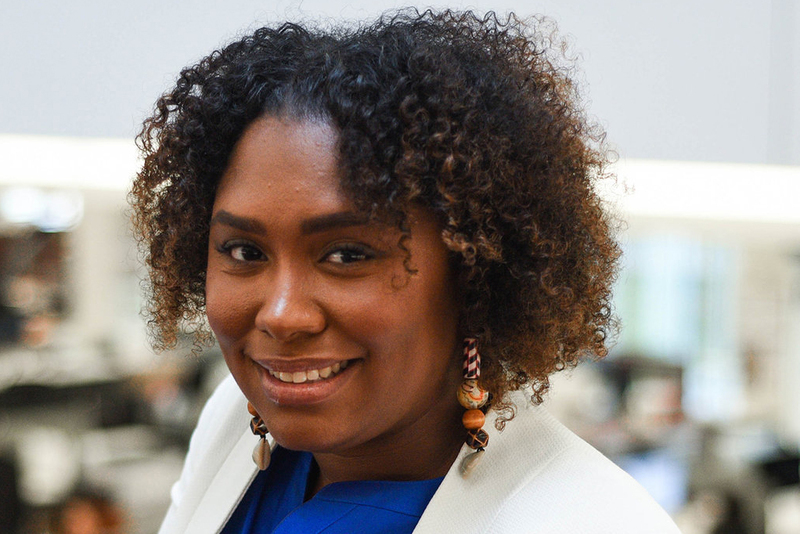 A member of the National Association of Black Journalists, Jasmin is participating as a video journalist in The New York Times Student Journalism Institute, where she hopes to tell stories about families who survive on minimum wage. “When I think about this medium and just being able to not only just keep that photo, but now I can do a little more, I can tell a story with that,” Jasmin said. She is unsure what is next in her career, but she knows it will involve telling stories that need to be heard.